Sounds good, I like the way playing behind the bridge compliments the music. Thank you, love The Cure too. I got mine in Olympic White last month and I'm loving it. Also raised the bridge and shimmed the neck. With 0.11s the guitar is good to go. Had my first rehearsal and have no problems with the bridge. Hard to be sure from photos, but yours doesn't seem to have the usual yellow tint on the neck. Is the neck glossy? After weeks of struggling with microphonic pickup squeal i removed the claws. After removing no more squeal even at highgain and high volume. Now the Jag has a real fat rock sound without loosing the original character. Still sounds like a Jaguar but more grown up. The bridge pickup was too beefy and liveless with the 250k pots. I have a spare pair of Squier VM Jaguar pickups which i bought on ebay. I took the neck pickup and put it in the bridge position. So now i have two neck pickups in both positions. I set the pickup height high in the bridge position and low on the neck so they match in volume. 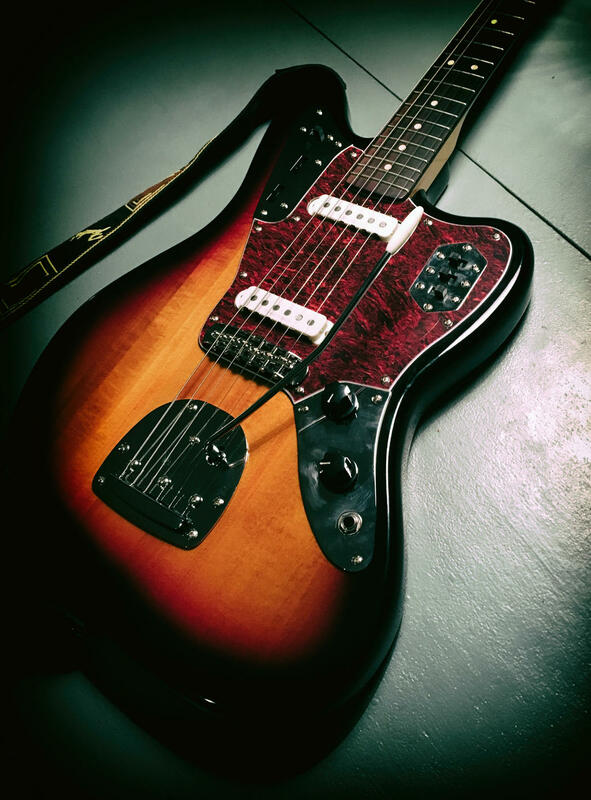 Perfect sound for me, vintage sounding Jaguar sound with nice smooth top end.